Premier League leaders Manchester City may be in action on Tuesdaynight, but the remaining top seven teams in the Premier League will all be playing their games on Wednesday evening and there is one notable fixture that stands out from the rest, with Arsenal, fresh from their superb 4-2 North London derby victory over Tottenham Hotspur making the trip to Old Trafford to take on Jose Mourinho’s Manchester United. It is a fixtures that has produced some fabulous Premier League moments over the years, including many spectacular games and a fair few unsavoury incidents and it is also a game where Manchester United have held the upper hand for many years, including landing two wins over the Gunners in both the league clashes between the teams last season (3-1 at the Emirates and a 2-1 win at Old Trafford). of a trio of such games over the next few weeks, with Chelsea hosting Manchester City at the weekend, and then a week later, Liverpool take on Manchester United at Anfield. So if you fancy a flutter on these games and many more, then remember you can sign up now at bet365 Sport with the latest bet365 New Player Bonus, which could see you earn up to £100 in bet credits when you start betting on the site. There’s plenty of other key games being played across Tuesday and Wednesday on Matchday 15 in the Premier League with Manchester City and Liverpool both defending their unbeaten records on the road, City travelling to face Watford, while Liverpool take on Burnley at Turf Moor. Chelsea, who lie third after the weekend, also face an away game, at Molineux against Wolves. assion on display. Other notable games include West Ham facing Cardiff, Bournemouth taking on Huddersfueld and Spurs facing a home game with Tottenham. There will also be emotional scenes at Craven Cottage as Leicester travel to take on Fulham with former Leicester boss, Claudio Ranieri, the man who led the Foxes to the Premier League title in 2016, now at the helm of the London club. But for now, we are going to focus solely on the big game at Old Trafford, giving you a preview of the game, as well as our predictions on how we see the game going over the 90 minutes. United have plenty of injury concerns ahead of this game with Luke Shaw a doubt and Ashley Young suspended adding to an already lengthy defensive injury list. Rojo may make a return after being a substitute at the weekend, but if Shaw isn’t fit, he could switch to left back allowing Matic to play at centre back and Fellaini to come into midfield. Rashford and Lukaku will likely continue up front with Martial playing wide of them, but with their defensive worries against a freescoring Arsenal team, this is going to be a tough test for United. With Granit Xhaka suspended after picking up a fifth booking against Tottenham at the weekend, Arsenal. Boss Unai Emery will have to make changes for this game and I can see two likely changes, with Ramsey coming in for Xhaka after a very impressive display as a substitute at the weekend, and similarly Lacazette may start in place of Iwobi. Interestingly, there was no Mesut Ozil at the weekend and it seems unlikely the German will feature tonight from the start, although he could make the bench in Xhaka’s absence. United come into the game with just one win in their last four games. They already trail Arsenal by eight points in the Premier League table and the Red Devils are 16 points behind leaders Manchester City after 14 games. Arsenal have won just four of the last 23 games between the teams. United winning 14 of those games with 5 matches finishing in draws. This is a tough one to call, Arsenal are clearly the form team and they also have a more in form, more attacking and dangerous squad to pick from. United have home advantage, although that hasn’t helped them in recent times, where there best performances have come on the road. 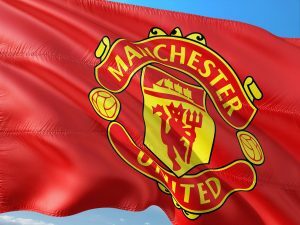 United also have a great historical record over Arsenal, but the way things have gone for both teams this season and based on the results coming into the game, I can’t see this United team having enough to get the win and I can see Arsenal taking advantage of United’s injury hit defence to claim a rare win. This is a game which I think United’s players will be up for, but I just think that their makeshift defence is going to have real problems dealing with Arsenal’s superb front players, especially if they play Lacazette and Aubameyang in tandem. With Mkhitaryan also likely to want to prove a point against his former club, I think that the Gunners will concede a goal, but grab two to claim the win. Given that his double-salvo against Tottenham moved him two clear at the top of the Premier League leading goalscorer charts, it would be silly to consider anyone else but a Aubameyang for a goal in this game. Not only is his pace on the counter going to be a huge threat for Arsenal, but he is bang in form and seems to score all kinds of goals too.